Whether you are new to clinical research or looking for career advancement, P.Kasper & Associates Mentoring Services will provide you with the support and guidance you need to be successful. Using our years of industry experience we will help you develop a detailed career plan with goals, objectives and a clear and well-defined action plan and work directly with you every step of the way. Learn more. "While taking the UCSC Clinical Trials Design and Management classes, Patty Kasper referred me to my first job. With her mentoring I was able to utilize my full potential, and in six years I became the director of clinical operations." for a complimentary 30-minute phone consultation to determine your mentoring needs. "Patty, thanks again for all of your help. I especially want to thank you for the confidence you gave me to sell myself/my skills and advocate for myself." "During our first couple of sessions, Patty showed me how to write a more professional and engaging resume. She coached me on how to interview, which greatly increased my confidence. Patty taught me to pursue companies I want to work for, identify my ideal job opportunities, and take advantage of networking events. By the third session, I had been hired by one of the top biotech companies in the industry. Patty is an excellent resource for individuals at any level who want to advance their careers in the field of biotech. I would highly recommend Patty to recent graduates who are trying to "break in" to the industry. 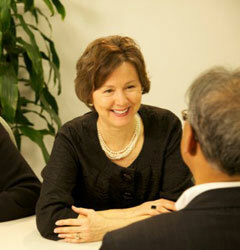 In addition to mentoring clients in their job search, Patty is also a great career coach. She helped me to define my ideal career path and provided me with tools and resources to use along the way." Our Learn to Grow Job Search Webinar Series is a convenient option for those busy students and professionals looking for advice on clinical research targeted resumes, cover letters and informational interviews. Learn more. "Patty's On-Demand Webinar Series gave me the confidence to enter the clinical research job market. With her instruction on resumes and interviewing, I feel ready for the amazing opportunities ahead." Contact us for more information about P.Kasper & Associates' Job Search Webinars.